Nightmare ($0.57) Price History from major stores - 5th Edition - MTGPrice.com Values for Ebay, Amazon and hobby stores! 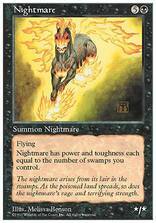 Card Text: Flying Nightmare's power and toughness are each equal to the number of Swamps you control. 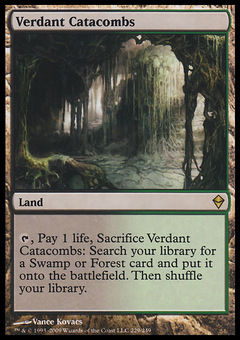 Flavor Text: The nightmare arises from its lair in the swamps. As the poisoned land spreads, so does the nightmare's rage and terrifying strength.